The mountains of the Dolomites offer the ideal conditions for a relaxing family holiday with lots of nature, healthy mountain air and unforgettable experiences for young and old alike. Varied activities such as riding, via ferrata and hiking awaken the spirit of adventure and invite you to discover what is probably the most fascinating outdoor playground in the Alpine region - the mountains of the Dolomites. Child-friendly offers and events for all seasons of the year and every age group make for relaxed vacation days – and not only for the children, but also for their parents! 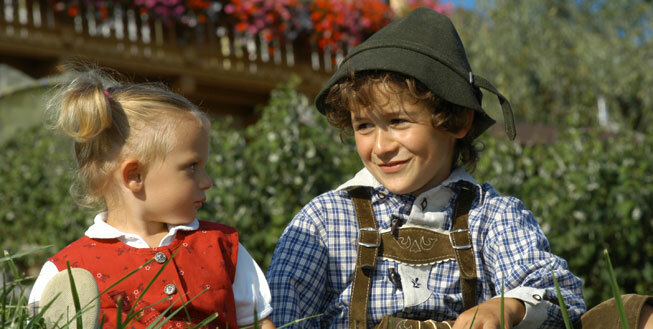 For example, thrilling adventure trips in the footsteps of King Laurin and his mystical world of legend, exciting visits to nature reserves to discover the local animal and plant life, leisurely cycle rides along the Val Pusteria cycle path, family hikes through flower-filled alpine meadows and all kinds of other highlights are organised by the local tourism associations. 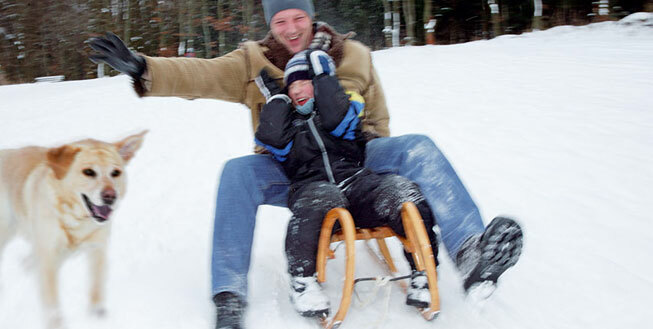 In winter there are plenty of family adventures to be had on the child-friendly slopes of the nearby ski resorts. Patient instructors, well-equipped ski kindergartens and a tailored range of lessons help to teach the little ones to ski in a fun-filled way, whilst Mum and Dad have the opportunity to spend some free time together!